Finals exams are next week. If you have come to class regularly and have actively participated on the projects then the final will be a breeze for you. The final exam is worth 10% of your grade. I would highly recommend preparing a bit for the final so you know what to expect. You can download a practice copy of the final exam below. The final exam will be very similar to the practice test. Feel free to take a moment to read through it and practice what you will do. You will have the final exam period to perform all of the final exam tasks. If you believe that you do not need to take the final exam please talk with Mr. Hanson on Tuesday. You can also double check your attendance records on the computer. Oh, what a spooky and kooky day! We will have a quick and halloween poster design contest! You will assemble this project during one period. At the end of class period your project should be complete. At the end of the period we can look at all of the designs. I have collected various resources you can use in your poster design. Drag the Halloween Treats folder on the server to your desktop. Do not open these files directly from the server. You may use these resources in your project. Some of the resources are fonts to install, others are brushes, while others are vector files that can be scaled, re colored, or manipulated any way you can. We will enter into some new and uncharted territory for Graphic Design 1. This is going to be heaps of fun for everyone involved that participates in the first ever DESIGN-O-RAMA, a graphic design game. The purpose of this game is to link together the skills you have with Adobe Illustrator and learn about some different design techniques such as utilizing white space, alignment, balance, unity, and grids. Each person will gather and place some design elements into a folder. The folders will be placed on the server. Each player will then draw a folder at random and will need to design some thing that utilizes all of the design elements in the folder. This will be a fast paced design challenge that will allow you to work within some constraints and also allow for some collaboration. Create a folder on your desktop. Label the folder with your Last Name only. You will have one period to gather some design elements to place in the folder. Consider there should be some connection between the design elements you gather. Some Text (less than 30 words)- This could be a quote, song lyric, haiku, etc) Include the name of the author, artist, musician, book, song. Create a Word document or Text File* with Word or Text Edit. TWO font styles from DaFont.com. Download these and move both into the folder. They should be .ttf files. After you have all of the files listed above in a folder drag and drop the folder on to the graphic server. There is a folder titled "DESIGN-O-RAMA" for each class period. Now that you are nearly done with your self portrait project you can experiment with adjusting the colors to see different possibilities. Save a copy of your self portrait project and use the copy to experiment. You can experiment with adjusting colors, applying effects, changing backgrounds or borders. Adobe has an wonderful website to help choose colors. The site is http://kuler.adobe.com You can use this site to create and adjust a group of five color swatches. These colors can be downloaded and loaded into your color swatches panel. Step 1: Create an Adobe account using your gmail address and password. This will give you access to all the functions in Kuler. Step 2: Explore the Adobe Kuler Website. Create your own color themes. Look at other users color themes. Step 3: Download five color themes to your downloads folder and them move them into a folder on your desktop. Step 5: Load your color swatches by going to the Library button on the bottom left corder of your Swatches panel....select Other Library. Navigate to your downloaded .ASE files. Step 6: Select objects in your project you would like to adjust using your color swatches. Step 8: Use the Assign and Edit tabs to view how your artwork will be changed using different color swatches. You can select a swatch folder from the right side of the Re-Color Artwork panel. In the next few weeks and months we will begin to use the Internet. You may have used the Internet before but there are a few things we need to be aware of in order to be safe and respectable digital citizens. The tips below are from and article from Web MD. The full article can be found here. These are some tips we will observe and follow while when we use the Internet in class. Don’t tell anyone your real name and address or what neighborhood you live in. Here’s the general rule: Don’t give out any information that a predator could possibly use to find you. The Federal Trade Commission says that even “small clues” like what school you attend or the name of your athletic team is enough for a predator to figure out your identity. You wouldn’t tell some 40-year-old man or woman you met at the mall your name and where you live, would you? So why would you tellCoolGuy985 or HotChick16 from the chat room? Don’t give your username or password to anyone. It's just that simple. What if a friend logs on and pretends to be you, and then says something really awful and gets you in trouble? Sure, it might seem funny to the “former” friend, but it’s serious and it happens everyday. With your username and password, someone can post language that gets you expelled from school, in trouble with your parents, or even in trouble with the law. Keep your name and password private. Just because the Internet is so massive does not mean that embarrassing or risqué pictures, rude or mean comments, or illegal activities will disappear forever. Watch what you post about yourself or others -- or allow your friends to post about you -- because you may have to live with it for a long, long time. Writing “hate” emails, hacking into other people’s computers, illegally downloading music or movies and making online threats are just as illegal on the Internet as they are in the real world. You cannot hide behind a screen name and get away with it. Watch what you write -- because someone else is watching what you write! The FBI gives an all-out blanket warning: “Never meet anyone in person that you meet online.” That said, many teens do make good friends online. You just have to be super-cautious and make sure other people you know and trust also know this “new” online person. If you do decide to meet the new person, bring your parents with you. All of you meet together in a public area like a mall where there are tons of people around. Ask that the person’s parents come, too. If the situation feels creepy, it probably is creepy! Just like in the real world, trust your gut instincts -- and walk away. Now that you understand a little more about the Internet let's use it! You will create an account with a website called Marqueed. Login with your Google account to access Marqueed. Set up your profile by clicking on your name in the top right. Click on Settings. Enter your First Name and Last Initial (No Last Names). Leave other identifying information blank. You can upload an image of one of your own logos into the profile picture space. Change your user name so that it does not include your last name. After you create your account you can try uploading your first and second progress screen shots of your self portrait project. Fill out the form below to share your email address and your Marqueed page with Mr. Hanson. You will work in groups to provide each other feedback on your projects. Have you ever found a really cool website someplace and then tried to find it on your computer at home without any luck? I know this is one of the most frustrating experiences. In this course you will find many useful websites, tools, articles, schools, and interactive places to check out on the web. Many of which you will want to look up in the future. To keep track of all these sites you can use a great Web 2.0 tool called Delicious. It is a service that allows you to save bookmarks of websites to an online account. You can access this account from any computer with Internet access and it helps to keep your virtual world a little more organized. Once you create your delicious account you will also download the delicious plugin or add-on. In order to use delicious efficiently you will need a quick and easy way to save your bookmarks. Visit this link and install the add on or bookmark for the browser you use most often. If you primarily use Firefox, install the DeliciousToolbar Button add-on. You can use delicious to keep track of interesting websites you find. Be sure to tag your sites so that you can keep them organized and make them easier to find later. Also you can create a network of delicious users and follow different websites your peers are bookmarking. The visit the Glacier High Art delicious account and add it to your network. Set up your delicious account and bookmark five different websites you have found during this class you will want to take a look at in the future. This will give you some practice using delicious and you can see how it works. Once you figure it out you can install the delicious plugins on all the computers you use. Today I would like to quickly gather some information from each of you. The information you share will help me to understand your current understanding of computers and software. It will help me to tailor this class to suit you. I will not share this information with anyone. You will also probably find out some things about yourself that you didn’t know before through the Jung Personality Test. Read this post and visit the links that are posted. You will take two surveys today. The first one is based on the studies of Carl Jung, a psychologist who studied personality types. You will take an easy survey that will ask several questions. Answer them as accurately as you possibly can. There are no right or wrong answers. I will not see any of the responses to the questions in the Jung Test. After you complete the test write down the four letter code that is provided to you. You will use the letter code to read all about yourself. As you might guess, some of the information may not be accurate. Surprisingly, I found these descriptions were quite accurate for describing my personality. You might find it really interesting. After you have learned about yourself I would like you to take one more survey. It will help me to learn about each of you. I will be able to see the information you provide. This information will help me to know where we should start. Please take the survey below after you determine your personality type. It is another consumer holiday! Let's participate by creating some valentines. 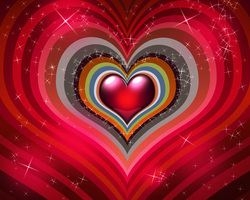 Let's see what you can create in one period on the theme of VALENTINES DAY 2012! Create a project during one class period and be ready to share it with the class. You can save your project and share it with someone you love through digital channels. Create a valentines image for your mother of father, boyfriend or girlfriend, or don't neglect to show some love for your pet. We are about to kick off the spring semester in Graphic Design 2! I am super pumped to see what you crank out this semester. It is going to be a wild ride and I hope you are getting your creative button pushing and mouse clicking (and a little dragging) juices flowing. The first thing you will do in this class is create your own website. You will use this website to practice your design skills and display your work. Today you will create an account with weebly. It is a super easy to use online web creation service that takes the mystery out of making websites. It really is a piece of cake. After you create an account you will set up a few pages. You will build your website similar to the example website here.